(3) SEN: "We will always consider applications from children with Special Educational Needs but we are mindful that we want to provide children with the best educational experience possible and sometimes, we might not have the facilities, staff or environment to be able to do this. Each case is looked at on an individual basis. It is only fair to the family and the child that we accept them knowing that they can access our curriculum in way that will enable them to make enough progress." Building is accessible for the range of disabilities. (1) Each class has its own dedicated classroom used as a creative learning space. (2) Maximum class size: 20. (3) Children in a Caterpillars class will have a lead ELC Nurse and Teaching Assistants (1:4). (4) Children in a Honeybees class will have a part-time Class Teacher and Teaching Assistants (1:6). (5) Children in a Ladybugs class will have a part-time Class Teacher and Teaching Assistants (1:8). (6) Children in a Butterflies or an Owls class will have a full-time Teacher and a Teaching Assistant per class (1:10). •	Facility provision is very good but with some adjustments could be outstanding. We do think the school is missing a (high quality) water play area. •	We would like to see full publication of teacher bios, including support staff. 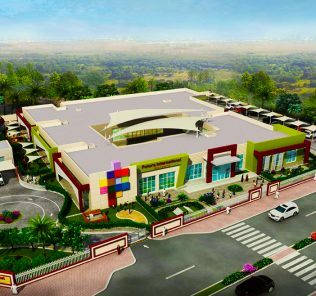 •	An inspirational, pioneering new preschool for the Emirates, firing on all cylinders and already seriously competing in a preschool sector benchmarked by a number of outstanding schools. Highly recommended. “For some parents, making the decision to send their child to nursery, opposed to school, can be a tricky one to make. At IDEA ELC we firmly believe that early childhood education is a journey. Childhood is precious and we value the time we allow children to spend being ‘children’. In all aspects of their little worlds, children are, sometimes outside of parent’s control, exposed to things beyond their years, so we believe that where possible, we should control this exposure to allow them to be ‘children’. There are many benefits to IDEA ELC for children. We have the time and the space to indulge each child’s interests without the demands of a ‘big-school. We are small enough to have a community feel where everyone knows each other in a friendly atmosphere…and we are big enough to expose each child to wonderful play opportunities appropriate to their developmental stage, not just their age. We have the teaching expertise to address each individual child’s needs and tailor their provision to enable them to learn and progress with staff that are experienced and qualified in the stages of development of children between 1 and 6 years of age. We have an open-door policy which encourages parents to share their ideas and opinions. IDEA Early Learning Centre [IELC] is a new US Curriculum early learning community stand-alone pre-school based in the heart of Victory Heights. 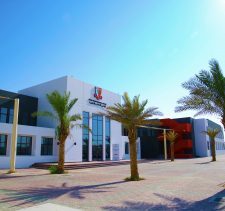 The school is accessible for parents within Dubai Sports City, Jumierah Golf Estates, Motor City, Arabian Ranches and Jumierah Village Circle. On our visit we found a school brimming with life and a very intimate small-school learning environment that many parents will favour over direct entry into all-through schools with integrated Early Years phases. The current role is around 90 children and at capacity the school will educate around 200 boys and girls. The current role is predominantly British but children have also joined from French, German, Emirati, US and Indian communities outlying its Victoria Heights location. Although IDEA ELC is situation in the heart of Victory Heights and serves a number of families from the immediate vicinity ( predominantly British), it seems the families it serves also extends to Jumeria Golf Estates (French and German) and Al Barsha (Emiratis) and smaller Indian and US communities. 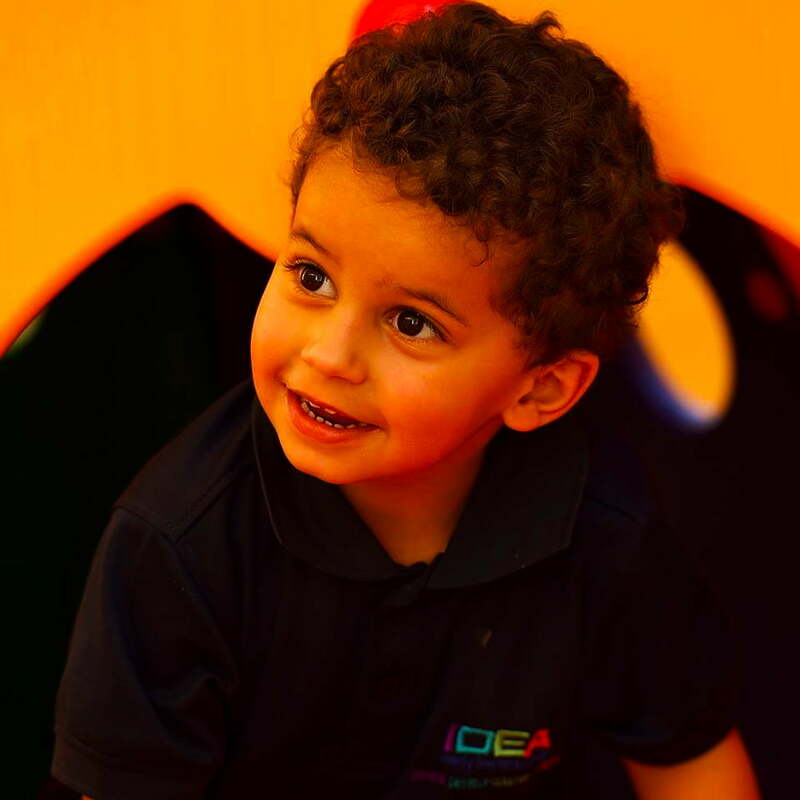 Prospective parents should note that, as a preschool (rather than nursery), IDEA ELC is fully KHDA regulated and we understand that its unique all-through early years provision may be considered for a pilot study by the Inspectorate. The ambition is to establish the ELC model in further schools, potentially extending through to dedicated slipstream Primaries. This is quite some claim. However, the Founding Director, Ashleigh Thompson, brings with her considerable expertise in the British educational system. UK trained, she has worked widely in the UK, latterly at Cragside Primary School in Newcastle where she worked as the Head of Foundation, a role she would also take up after moving from the UK to STAR International School in Mirdiff. Ms Thompson is Masters educated with an expertise in literacy across Early Years to Key Stage 2 learning. She has also taught in France, which forged her interest in English as an Additional Language. Interestingly she has chosen to recruit significantly from the UK, although senior faculty also includes teachers from the US and the Emirates. Teaching Assistants are required to have at least 5 years teaching experience, and be qualified at level 1 or 2. On our visit we noted extensive video being recorded of a Mums and Infants group which was very well structured and supervised. Natural slipstream schools include the Arcadia Senior School, its preparatory counterpart reviewed here, Collegiate American School, Safa Community, here, and Clarion School, here. The school aligns itself with structured and developmentally appropriate national curriculums, including British EYFS, rather than the more progressive school approaches of Emilio Reggio and Montessori, although it includes elements of each in its curriculum delivery. Where it differentiates itself from British EYFS is in its concentration on meeting the requirements of the spectrum of later all-through schools, including those from British, US, Canadian, IB, UAE and Indian schools. This is a very new curriculum for the UAE but having looked in some detail at the structure and content we think that there are some real pluses. The core benefit of the programme, for us, is that it is extremely systematic and well thought out. The Creative Curriculum for Preschool is based on 38 objectives for development and learning. These inform every aspect of teaching. 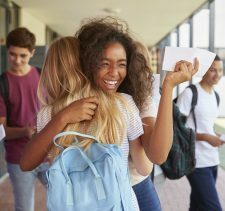 We have listed these in full following because they are indicative of the breadth of the programme, and support the argument of the school that its offer is unique in its breadth and cross-curricular alignment. The US organisation behind the curriculum, Teaching Strategies LLC, has a nearly twenty-year history of curriculum development. The curriculum is aligned with both US state early learning guidelines, the Head Start Early Learning Outcomes Framework and Common Core standards in literacy and mathematics. It is taught widely in the US. 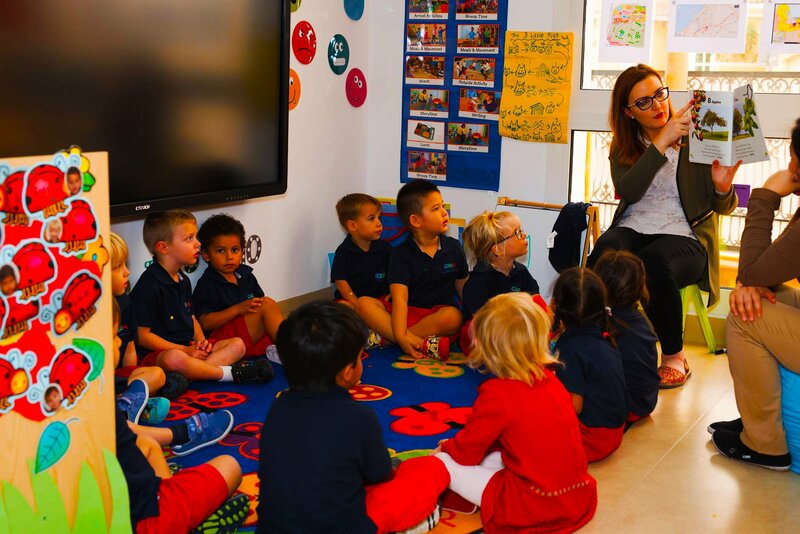 Unlike the array of progressive emergent curricular, Montessori and Emilia Reggio approaches best known in Dubai, this is an extremely well documented programme and parents will be able to monitor their child’s development – and teaching. As in UK EYFS and the IB, course materials are widely available. Our guide to alternative approaches in Montessori can be found here, Reggio Emilia, here, and British Pre-school EYFS here. The Creative Curriculum® is much more aligned with the formality of the British EYFS and International Baccalaureate preschool approaches, than its progressive alternatives. Play is integral to the curriculum, but it follows a clear structure of goals in development and learning for different age groups. These are linked to US state standards. Assessment is an integral part of the programme, a key differentiator from the progressive curricular. Individual learning diaries, term and annual reports are provided for parents. Our view is that, on the whole, with the more progressive approaches, it is much more difficult for parents to understand what is being taught. Because the progressive programmes are child rather than curriculum centric, learning can be both less easy for parents to monitor. Accountability in the progressive pre-schools is arguably as a result much more difficult. One feature of the school in this context we particularly like is the outstanding level of school transparency and communication – the best of any dedicated Early Years provider we have reviewed in the UAE. Facebook communication is Tier 1 and we particularly like the regular publication of newsletters and blogs. A dedicated Parent Portal enables parents to access from home teacher assessments for their child’s progress and learning. The commitment to parents is taken seriously and evident. One area we would like to see improved on is for the full publication off all staff bios and profiles. 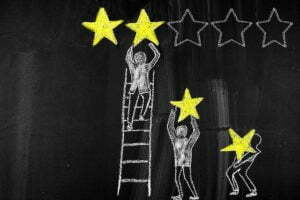 We think this is critical in staff retention and recognition, but also in providing parents with a very clear understanding of the gifts, qualifications and motivations of faculty. The elephant in the room is the fact that any curriculum is only as good as its implementation. One benefit of this programme is that teachers follow a very clear sequence of teaching and are given lesson plans, material requirements and specific guidance for each activity. There are teaching cards for each lesson. Having visited the school we found exceptionally committed faculty, highly trained, with a clear vocation for Early Years learning. One feature of the approach we like and have not seen before is the use of project based investigation (“studies”) at the heart of teaching. These centre children’s learning on an interesting topic over a 5 to 7 week period, building their knowledge, using the 38 objectives as a guide. The study is woven throughout the day amongst a plethora of other activities, but the project acts a s a foundation for linking learning and returned to as discoveries are made by each child. There are between 6 and 7 of these major projects throughout the year. This is one area where there is a very clear alignment with IB approaches – arguably these are even better. Outside the projects, the curriculum is driven by a good mix of shared study and individual reflection. Interest areas are designed to focus on delivering the objectives. As with the British EYFS, reading and the development of language is absolutely central to the curriculum. There are a minimum of three “read-alouds” per day – these allow diversity away from the foundation investigation/project. This will be an important consideration for many parents as some progressive schools deemphasise literacy and reading. This can cause issues in transfer to British and IB schools. The programme is designed around individualised learning, because learning is scaffolded through assessments of each child and colour coding their individual development across language, literacy, mathematics, emotional development and physical activity and the development of motoring skills. The following is a very long video, but we have included it because it is highly informative and gives an excellent insight into how the preschool curriculum works in practice. This will be a new curriculum option for many parents and this video brings it to life well. Facilities are very good. On our visit we found classrooms that are large, bright and airy with outstanding levels of creative work in evidence. There is a library and lots of role play equipment. We particularly liked the small stage area outside complete with range of dressing up clothes. We noted every aspect of early years learning being covered through thoughtful toys, technology, books, sensory areas (including a mud kitchen) and soft play gym. Our only critique here is a lack of specific structured water play areas, although the school (fairly) argues that the quality of existing Victory Heights community pool provision is such that it would be to some degree doubling up. Perhaps this could be addressed as the school evolves as we believe that water-based activities do significantly contribute to early years development. It is also worth noting that the The Creative Curriculum® in the US has strengths in the dual language teaching of English and Spanish – we think there could be a real opportunity here to adapt this to Arabic teaching. If this could be integrated at this early years phase it could have real impacts on some of the difficulties faced in later all through schooling in Arabic language teaching. On a separate note, the school launched creditably with an Early Years scholarship programme enabling five Emirati children to attend the centre with 100% fee remission. This is very telling of the commitment of the school. We would hope in the years to come scholarships could be extended to children of all nationalities whose families would otherwise not have the means to access early Years education. We really like this school. Our concern is that many parents will not be aware of this curriculum and it is very telling how many families have chosen the school despite this. The reason is that a visit to the school, particularly to appreciate the outstanding teaching faculty and structured teaching, brings to life very quickly the compelling schooling on offer here. If possible we recommend parents set up an appointment with the Founding Director whose conviction to her school, the curriculum and the children under her care is genuinely inspiring. It is clear that for her early years learning is a vocation. Whilst there are a few adjustments we would like to see, including a water play area in the area of facilities, these are minor and we suggest them above because the potential here is best-in-class. 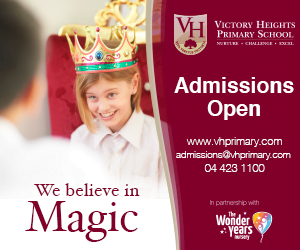 We have no hesitation, despite this being a new school, in recommending its being shortlisted by prospective parents. A very special school.